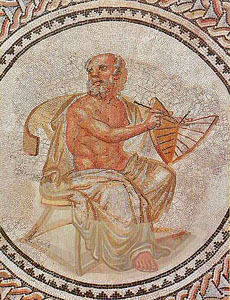 Some sources claim Anaximander (610 – 546 BCE) was a student of Thales. This was assumed for a long time, but as is often the case in across cultures, followers are thought to be direct students but are then discovered to have merely studied the teacher without knowing them. This is also believed today to have been true of Socrates and Plato. Anaximander did have a famous student named Pythagoras (who we will study next week). Pythagoras is said to have visited Thales on advice from Anaximander, and that Thales told Pythagoras to study in Egypt to understand mathematics and physics. The things that are perish into the things out of which they come to be, according to necessity, for they pay penalty and retribution to each other for their injustice in accordance with the ordering of time. Like Newton, there is a balance such that for every motion there is an equal and opposite motion, a balance or ‘justice’ that works throughout the cosmos. For Anaximander, justice was the goddess Dike, keeper of the order, balance, and justice of the cosmos presided over by Zeus, her father. Zeus is order, and Dike settles disorders. Dike is sometimes pictured with scales to weigh things, just like Anubis from Egypt. While some have said that Anaximander was the first in world history to present rational arguments for his beliefs, just as Thales is said to be the first to believe in natural explanations, it is rather that people naturally observe and argue, but Anaximander was the first Greek (technically Milesian) whose arguments come down to us through various sources. For Anaximander, the basic element out of which spring the others is not water but the limitless, the infinite, Apeiron, unlimited by time or space (temporally and spatially infinite), unlimited in potency and power, unlimited by quality or quantity. Anaximander argued it was unborn, and will not die. Heraclitus says the same, unlike the Olympic gods of Hesiod who are born in time. While the infinite is the generation and decay of things continuously, it is itself without generation or decay. Things begin and end, and this itself does not begin or end. This is a similar abstraction like polytheism to abstract monotheism, with elements in fact being facets or branches of one common abstract element, also eternal and without birth, unlike Zeus. The infinite is also that which is not bounded by human reason or concepts, that which remains ungrasped and beyond understanding. Whether we live in an open infinite universe or a closed finite universe is still debated by astrophysicists today. 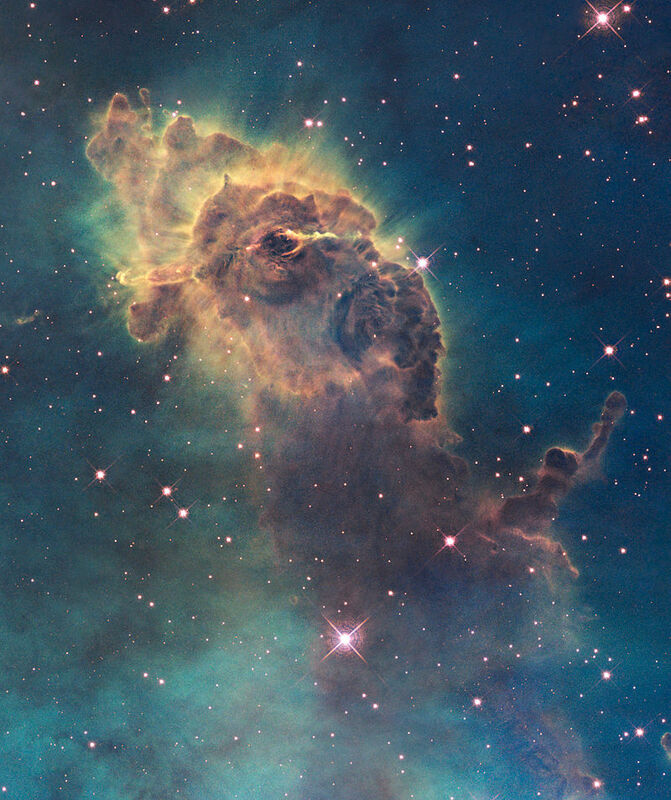 In my undergrad astronomy class, we were told there are three theories or possibilities: 1) the universe is closed with an edge, so a rocket could hit the edge, 2) the universe is closed but loops back on itself, so a rocket would eventually wind up back where it started if it kept flying in a single direction, or 3) the universe is open and infinite, so a rocket would never hit an edge or return if it kept flying. Anaximander argues the third and last of these. 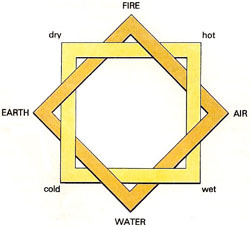 Apparently, Anaximander argued that because the elements are opposed to each other, with fire being hot, water being wet, earth being dry and air being cool, if one of these were the primary element or infinite in potency itself, it would have destroyed its opposite long ago. Thus, if Thales was right and all things are made of water, fire would have been obliterated long ago or never existed in the first place. Note that Anaximander assumes that something must be infinite, and so this thing must not have a particular character or that character would obliterate anything else given an infinite amount of time (something an infinite thing would by necessity have). Out of Apeiron come the elements fire, air, earth, and water, and then these are the components of all particular things. This works according to the four qualities of hot, cold, wet, dry. Specifically, fire is hot, water is wet, air is cold, and earth is dry. 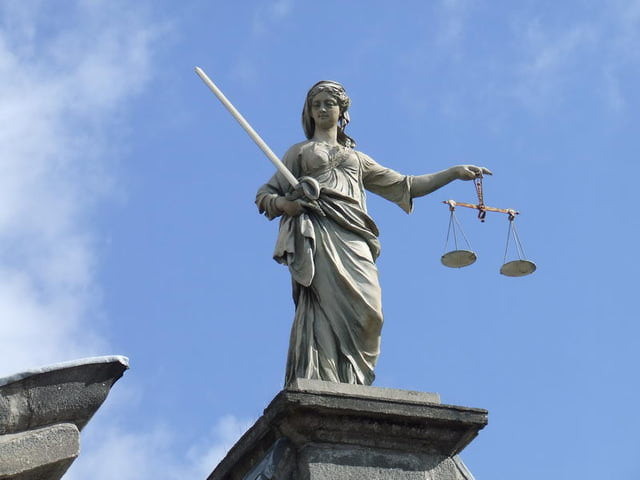 When things are in balance everything flows smoothly, and when they are out of balance, they must “pay for their injustice”, getting rebalanced by counter-reaction. The elements encroach on each other and commit injustice against each other like nations fighting for disputed territory. Heraclitus, as we will see, thinks the elements are conceited and hungry, which is why this happens. For Anaximander, lightning and thunder come from clouds bumping into each other, a settling of the injustice. The infinite apeiron was seen as a negative thing by the Pythagoreans and Aristotle, who put order and restraint on the side of perfection and the infinite on the side of chaotic and imperfect. Typically, Greek thought was uncomfortable with the idea of the infinite, unlike Indian thought. It is for this reason that we use Indian-Arabic numerals today, as Indian mathematics was comfortable with infinites such as infinite series and unknowns such as variables, which contributed to Islamic algebra. While we still use the Greek letter pi to symbolize the ratio of a circle’s circumference to its radius, the Greeks would be uncomfortable with a value of pi that trailed on endlessly, and struggled to represent it as a whole number ratio (22/7 was often used). According to Anaximander’s own cosmology, the world grew out of a seed encased in fire and air, which then fall apart into rings, which then compose the sun, moon, planets and stars. Modern scholars are still perplexed as to the workings of much of his astronomical system. Anaximander introduced the gnomon into Greece, a tool the Babylonians and Egyptians had used for centuries before. Basically, it is a stick in the ground, which functions as a sundial. This allows shadows to be measured on the ground and then studied. The sun draws a curve, moving from long to the west in the morning, shortest at noon, and long to the east in the evening. Anaximander said that the sun and moon make full circles, passing beneath the earth, and earth floats unsupported in space. This is odd, as it would be unsupported by water, or air, or Atlas, or a pillar, or turtles, or anything, which made it different from many previous cultures’ beliefs. It was not until people got into space, thousands of years later, that this could be directly observed. Anaximander did not believe the earth was round, however, at least not round as a sphere. The earth was a flat disc, a belief much more common in the ancient world. For Homer and Hesiod, the world was a pillar or drum, as was the shape of the cosmos, which explained why the earth was flat, things fall downward and the stars circle overhead. Hesiod says in the Theogony that it would take an anvil nine days to fall from the height of heaven to earth. Anaximander also uses the number nine as the ratio of the length of the earth to the distance to the stars and in several other places. Why, then, does the earth not fall but floats? Aristotle says that Anaximander argued the earth was at the dead center of the cosmos, and because of this there was no reason for it to move one way or the other. This is odd, because an infinite should either not have a center point, or equally have its center at all points. 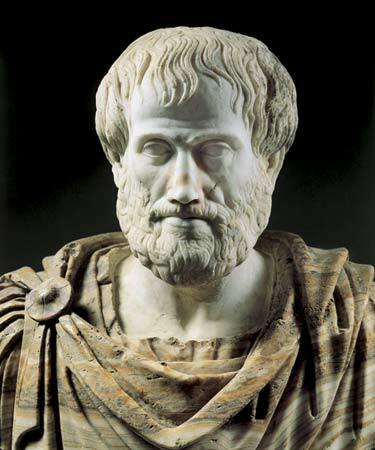 Aristotle argues that if Anaximander is right, then a man who is hungry and thirsty between food and drink would necessarily remain where he is. Again, note that Aristotle compares the moving earth to a hungry man, just as Anaximander believes the elements do injustice to each other. What is likely going on is that Anaximander sees the cosmos as generated outward from the earth, and the earth is, in a sense, floating on being at the center. Anaximander put the stars nearest to earth, then the planets, then the moon, and farthest away the Sun. This means he thought stars disappeared because they pass in front of the moon, not behind it, and the moon outshines them at night the way the sun does during the day. The cosmos is shaped like a drum, with the planets on wheels circling around the sides and the disc of the earth in the center, rising and falling with the seasons. 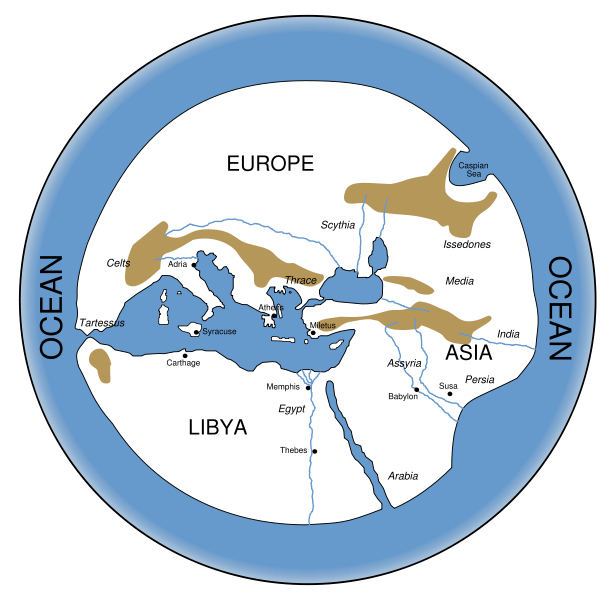 Anaximander made a map of the world, supposedly the first in ancient Greece, with the circle of the earth surrounded by the ocean, which presumably also floats in place. The Mediterranean Sea is in the center of the earth, Delphi is the navel at the very center, the northern part of the world is “Europe”, the eastern part of the world is “Asia”, and the southern half “Libya” (Africa), divided into thirds. It is not known whether Anaximander was the first to use these names, as he likely relied on earlier sources. Only the coasts were habitable, the north coast including Greece, the south coast including Egypt, and the east coast including Babylon, Assyria and Persia. 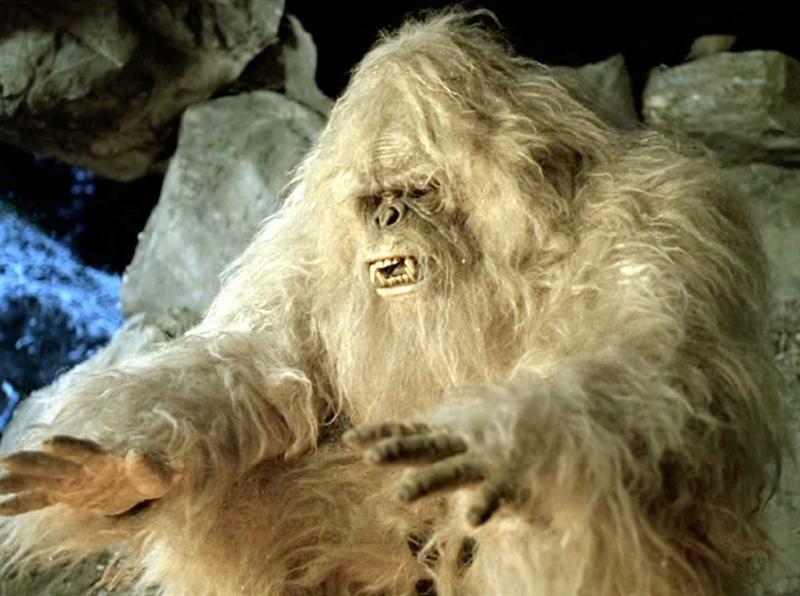 In the far north, lived mythical snow people (Western Europeans), and in the far south mythical fire people (Africans). Herodotus follows Anaximander and divides the world into the same three continents. “Europe” would not be the culturally accepted name of the continent in Europe until the late middle ages, just before the Renaissance. In biology, Anaximander argued that life comes from moisture that stays on the earth that does not get dried up by the sun. The water cycle was known in Egypt, India and elsewhere from the observation of vapors rising up and rain coming down with the heating and cooling of the seasons. Fish are made of warmed water and earth, out of which they spontaneously arise. They then become other animals, which become others, which become humans. This does not include the idea of natural selection of Darwin. Humans do not come from monkeys, as they did according to some Indian sources, but were trapped in animals until they burst out.